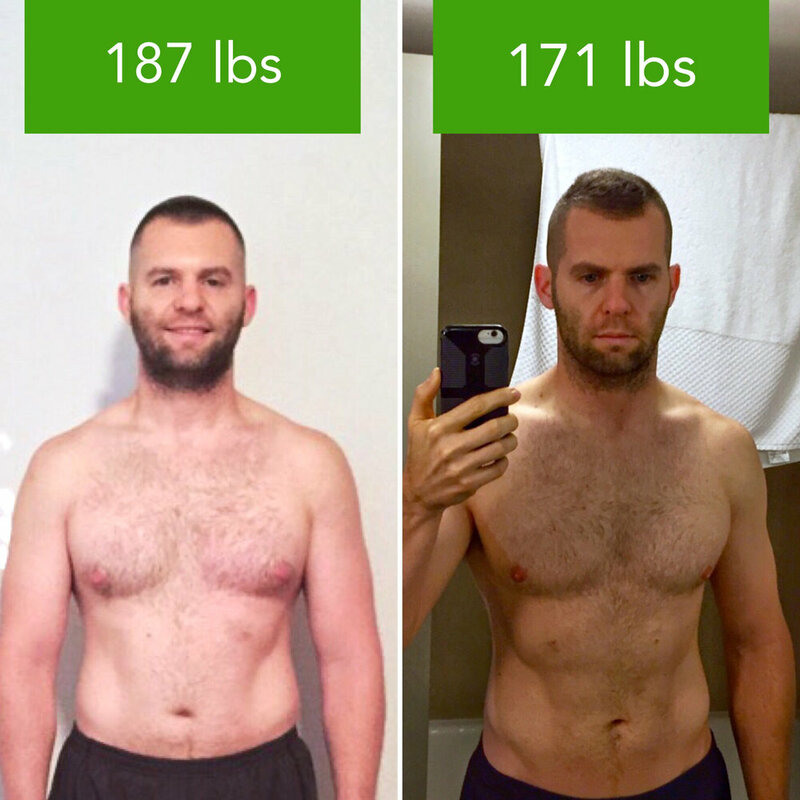 Before I began the program I couldn't seem to get my nutrition in order enough to get any more weight off consistently and I basically hovered around 185 lbs at best. I was pretty lost and gave in to possibly sustaining weight as well as possible. Upon starting the program my weight dropped fast and my nutritional learning curve turned very sharply. Since we took a very militant approach to food prep it made eating per the plan extremely easy and the food was what I already loved. I'm a natural tinkerer so I did add some foods here and there to see what my body reacted to. It was a great learning process and a great approach to nutrition that I hadn't even thought about. I was attracted to the ability to balance my intake with the results desired. Results were critical for me as I've not seen results like this since I was 20 years old and had a hell of a lot better metabolism. I'm leaner now than I've been since that time and my health has benefited from the program as well. I've PR'd back to back half marathons and I'm more able and light than I've felt in a very long time. Not to mention it's a great confidence builder! It always helps when you have support and my wife who got me started on the program has been awesome! I can't thank the team at Adaptive Nutrition enough for the support and expertise they have and still do provide while I work to achieve some very personal goals!